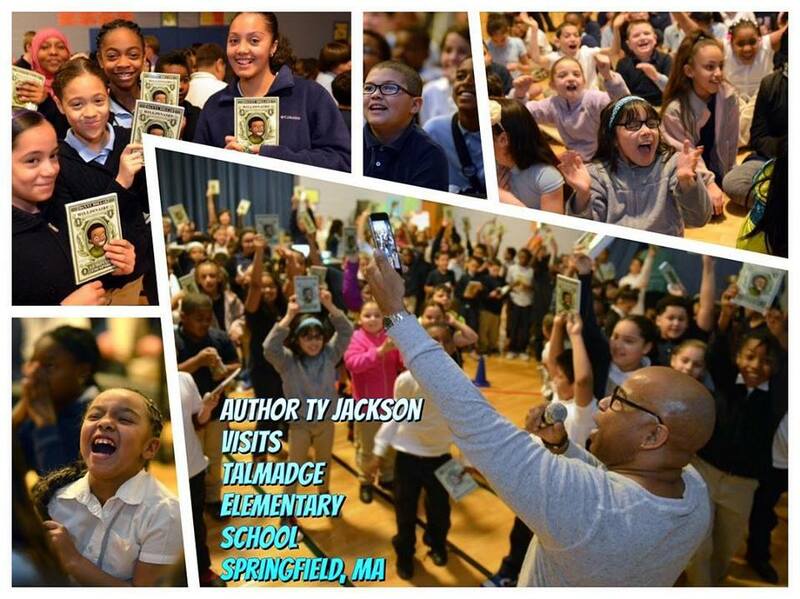 Ty brought his passion and energy to the students of Arthur T. Talmadge Elementary School on Wednesday, March 23rd. Originally the school was contacted by Ty’s agent to perform one of his “AUTHOR RALLIES” but was told that they could only afford $200, which is significantly less than his standard fee. Ty knows it is paramount to promote literacy especially to young students in low income communities, so he decided to visit the school at no charge, give a copy of his ground-breaking book Danny Dollar (which promotes financial literacy and entrepreneurship) to all 3rd, 4th, and 5th grade students for free and also to use the $200 for a pizza party. Click on this link for photos and videos of this AMAZING event.